Paul Delaney: Seán O’Faoláin, Literature, Inheritance and the 1930s. 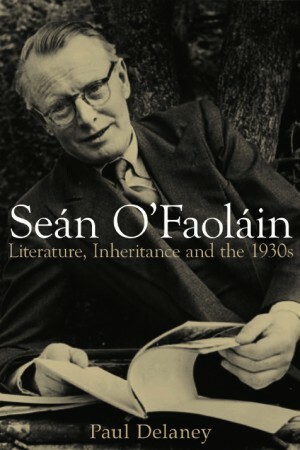 In his biography, Seán O’Faoláin: Literature, Inheritance and the 1930s, Paul Delaney confines himself to a discussion of only a fraction of O’Faoláin’s prodigious output. But his study covers what could arguably be the most significant and influential period of O’Faoláin’s writing and fledgling political and journalistic life. Delaney has divided O’Faoláin’s body of work in the 1930s into two separate writing areas; his non-fiction – several biographies; and his fiction output, three novels, and an anthology of short stories. It is generally acknowledged that short story writing was O’Faoláin’s forté and he continued to publish short stories up to a few years before he died in 1991. Nowadays, the stories, which are still compelling, risk endorsing stereotypical characteristics of ‘the Irish’, which no longer resonate with a potential audience. The main protagonist of ‘Kitty the Wren’, one of the short stories in ‘A Purse of Coppers’, a young woman who has been sexually manipulated if not abused (again a recurring theme of Irish novels and plays), and has had a child outside marriage is banished from her village and the child taken from her. O’Faoláin portrays the local priest as an ineffectual pastor to Kitty and the community, being unwilling to redress the lack of compassion and judgmental attitude of his parishioners. ‘The poor girl will never enter this village again,’ is his ineffective response to the bigotry of Croghanbeag. ‘And ‘tis better that way’ he adds,’ (Purse of Coppers). This negative, very often misogynist, depiction of the Irish rural class is pervasive in the novels and short stories. As Delaney observes, ‘Many of these strands come together —-when O’Faoláin provides a clear statement of intent and offers a bleak assessment of intellectual activity (or the lack thereof) in post-Independence Ireland’ (p 245). However, O’Faoláin also had a sly and ironic sense of humour, which is also evident in his works of fiction. Given that O’Faoláin eschewed the heroic view of life in general and Irish life in particular in his fictional characters and stories, it seems surprising that he chooses larger than life characters for his biographies of the 1930s. They include biographies of Countess Markievicz; two, no less, of Éamon de Valera and perhaps O’Faoláin’s most successful opus, King of the Beggars, the semi-fictionalised biography of Daniel O’ Connell, the much loved and revered hero of the Catholic Emancipation Bills of the early 19th century. O’Faoláin’s biography provides a striking instance of the danger of her memory also being trapped – “in the wrong way, in her woman’s way” – by these same discourses. (p 76). By contrast his 1933 study of Éamon de Valera, The Life Story of Eamon de Valera, was almost sycophantic. ‘It will be said now that I am writing as an apologist for De Valera, and I do not deny it’. (p 52) His concern was to keep alive ‘the ideas of national progress, destiny and the cult of the leader’. 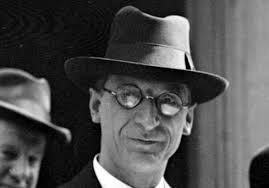 (p 54) But this approval of De Valera and all he stood for did not survive the decade and in De Valera, his 1939 treatise, included a highly sceptical critique of the leadership of his erstwhile hero and leader. O’Faoláin had parted ways with his former hero, seeing him as backward looking, fearful of any radical change, embracing the literature, myths and legends of ‘Old Ireland’ and generally impeding the development of Ireland as a modern nation by his conservative and cautious governance. Delaney devotes a considerable amount of space to a discussion of O’Faoláin’s ‘Proem’ which introduces ‘King of the Beggars: A Life of Daniel O’Connell’. 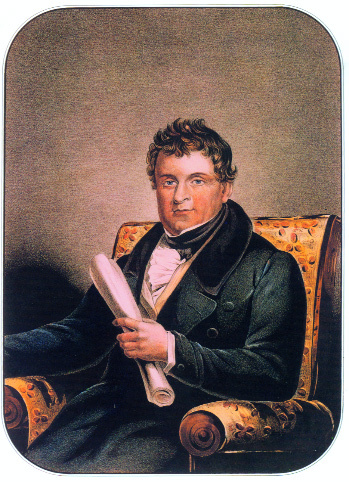 The ‘Proem’ is highly critical of the attitude and influence of Daniel Corkery, author of ‘The Hidden Ireland‘, which idealises the society of pre-18th and 19th century Ireland. O’Faoláin would have none of this. ‘(m)odern Ireland was a product of a syncretic range of associations which were neither innate not essential. Little could be revived and nothing could be gained by any attempt to resuscitate a long-gone order’. The battle lines were drawn and were to prevail for the rest of O’Faoláin’s life. In Daniel O’Connell he found a real hero, (notwithstanding some of the less salubrious aspects of the great Liberator’s private life which O’Faoláin disingenuously ignored or played down) who almost single-handedly shifted the perception of helpless victims of history that the people of Ireland had of themselves, to one of national pride. Even the huge disaster of the Famine could not totally eradicate O’Connell’s achievement. It was O’Connell’s forward thinking, his ability to unify and galvanise the Irish psyche, his lack of enthrallment for the old, even obsolete Gaelic culture preserved in the poetry and stories of the Penal Laws, that appealed to O’Faoláin. He firmly believed that if Ireland was to take her place as a modern European nation, she needed a leader of O’Connell’s ilk rather than one such as De Valera who in O’Faoláin’s opinion had a romanticised and unreal attachment to the relevance of the past. had this reviewer believe that she had fallen down a rabbit hole into a Peter Craven essay. As well as a text dense to the point of impenetrability, there is also a considerable body of extraneous material. Each chapter begins by placing O’Faoláin’s work in a particular context. The first chapter on ‘Biography’ has learned comments on theories of biography by Paula Backscheider (p 43) and David Novarr (p 47) for example. The chapter on King of the Beggars (p 85) starts with a long dissertation on Daniel Corkery’s ‘The Hidden Ireland’ which in O’Faoláin’s opinion, romanticised the wretched conditions imposed by the Penal Laws on the Irish peasantry. Such dissertations are interesting and informative and firmly place O’Faoláin in a contemporary context with his peers. But such lengthy discussions disrupt the narrative flow and undermine the accessibility of the book, not only to academics but to a general reader. Seán O’Faoláin was a household name in the 50’s Dublin of my childhood. But it is doubtful that O’Faoláin will ever again enjoy the literary and journalistic status he enjoyed during his long life. Although he must have rejoiced when Seán Lemass, De Valera’s successor as Taoiseach (and Dev’s son-in-law!) attempted to drag Ireland, kicking and screaming into the industrialised and business savvy 20th century – in the early 1960s! – the Celtic Tiger and its aftermath have obliterated the Ireland of De Valera and O’Faoláin. This is precisely why Delaney’s study is so timely.The best of his work from the 1930s, the King of the Beggars, was an attempt by this young, ambitious writer, against a hugely influential established ethos, to influence how a modern, forward looking Irish identity worthy of separate nations status should be formed. O’Faolaín firmly espoused a future oriented education for the coming generations of Irish citizens, rather than the endless hearkening after a lost culture and language. It is not too great a leap of the imagination to discern that this is not irrelevant to the young people of a post ‘Celtic Tiger’ society. Perhaps a more user-friendly narrative of his life and work might be considered? Elizabeth McKenzie is a member of the Tinteán editorial team. I found this review a very thoughtful and scholarly revision of the whole O’ Faolain thing. Having been brought up with all that in the thirties as a very young student, I was imbued with the romance and heroism of Irish history as understood at that time. I have to keep learning every day. Thanks to Elizabeth and Tintean..